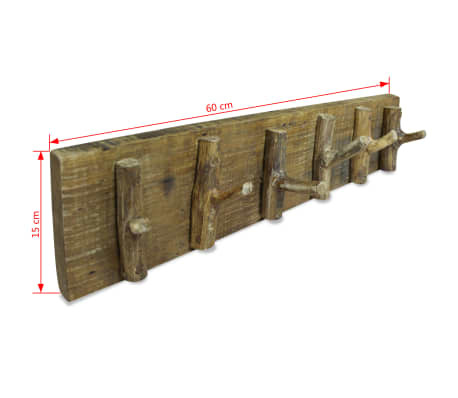 This rustic coat rack will be a practical as well as decorative accessory for your home. 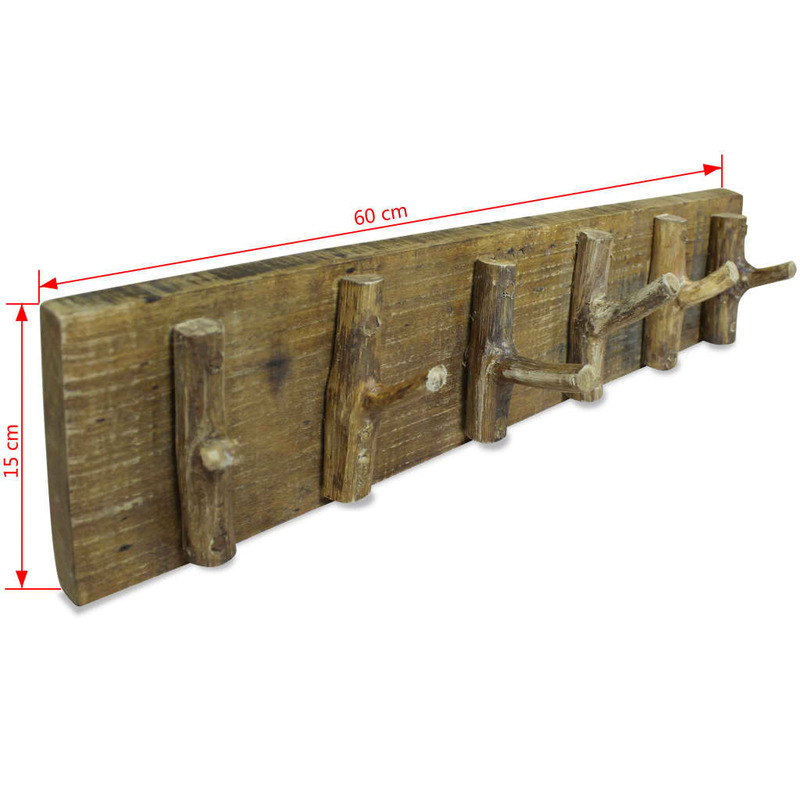 The rack is made of solid reclaimed wood, which has the characteristics of different woods like mahogany, teak, hard wood, mango wood, acacia, etc. You may find cavities left by nails, screws, or bolts, along with other imperfections, underlying the authenticity of the material. These imperfections disclose a rich history and are never intentionally made. 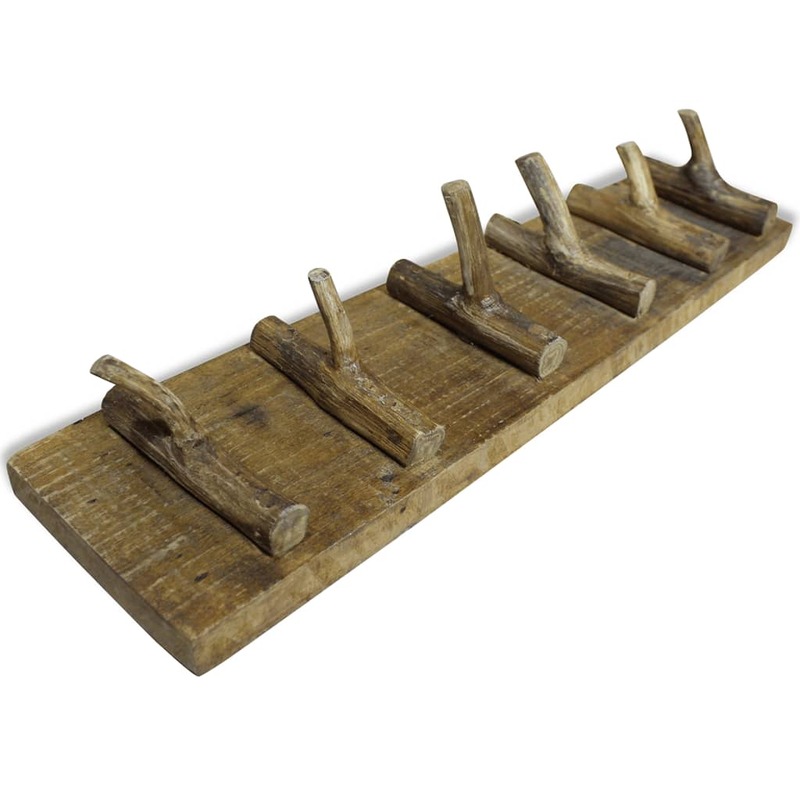 The wood originates from naturally fallen trees, wooden boats, wooden houses, etc. Every piece of furniture is unique, and slightly different from the next. 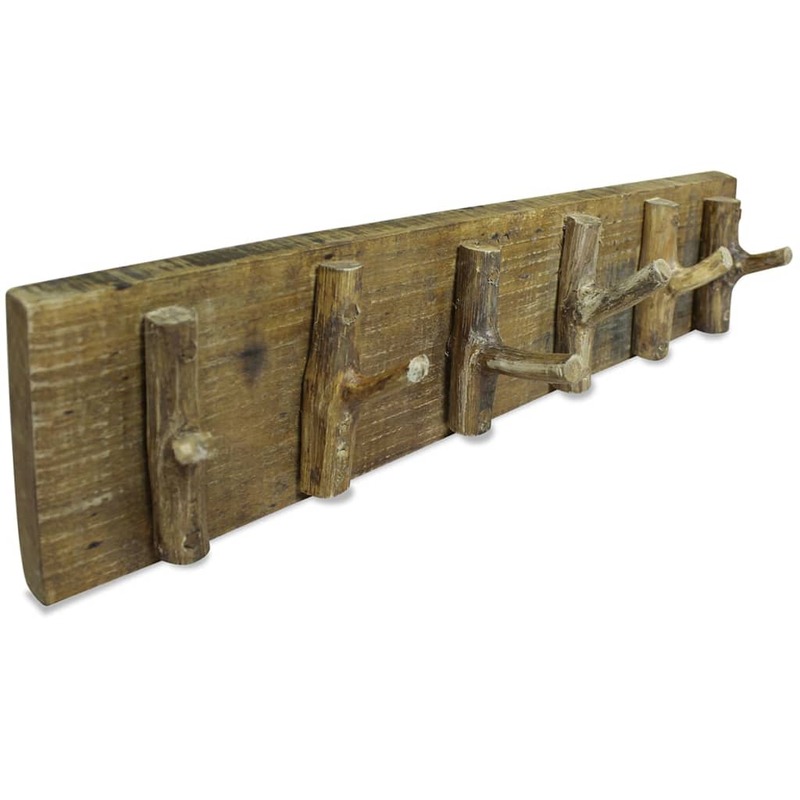 Signs of wear and the craftsmanship of this fully-handmade coat rack give each piece a unique look and add to its spectacular vintage style. 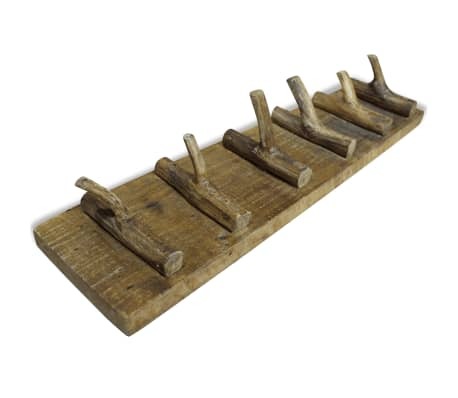 With 6 pegs, the rack provides ample space for hanging your scarfs, ties, coats, bags, hats, keys, etc. 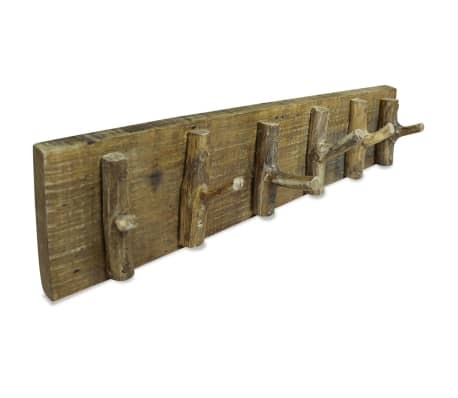 Important note: The colors may vary from piece to piece, making each of our coat racks unique; the delivery is random.